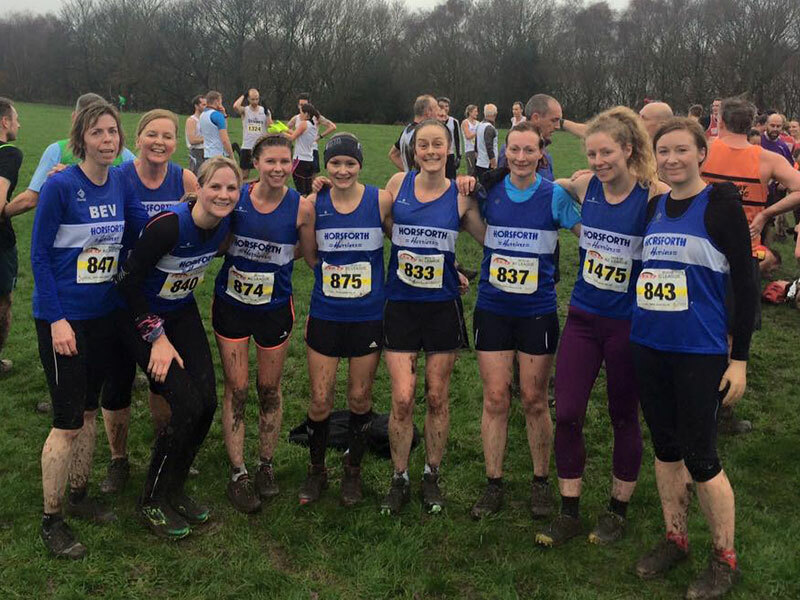 There are separate league competitions for male and female runners. Points will be allocated across Championship races and Grand Prix events. Members race against each other and score points based on where they finish relative to the other competing Harriers. 36 pts will be allocated to the highest positioned Harrier; 30pts 2nd; 24pts 3rd; 21pts 4th; 18pts 5th; 15 pts 6th; 14pts; 15pts; 13pts……down to…….1pt. League Champions will be determined by the highest points accumulation during the period 1st January 2019 to 31st December 2019. Grand Prix events are those races which will determine the Club Champion for a race distance / race type. The 5K Championship will be determined by best times over races 7, 8 & 9 at the Even Splits Leeds 5K Race Series held at the Brownlee Triathlon Centre. The Cross Country Championship will be determined by the best times over races 1 & 2 as part of the 2019 / 20 Peco Series. Parkrun and Marathon Championships will be determined by the fastest time at any event over the distance. Both The Summer Mile and The Golden Mile qualify as a Grand Prix with the fastest time over either event confirming the Club Mile Champion. Age categories for the 12 months will be set as at 01 January 2019. Handicaps will be based on the runBritain scoring system. Designated relays will allocate 10 points per participant.